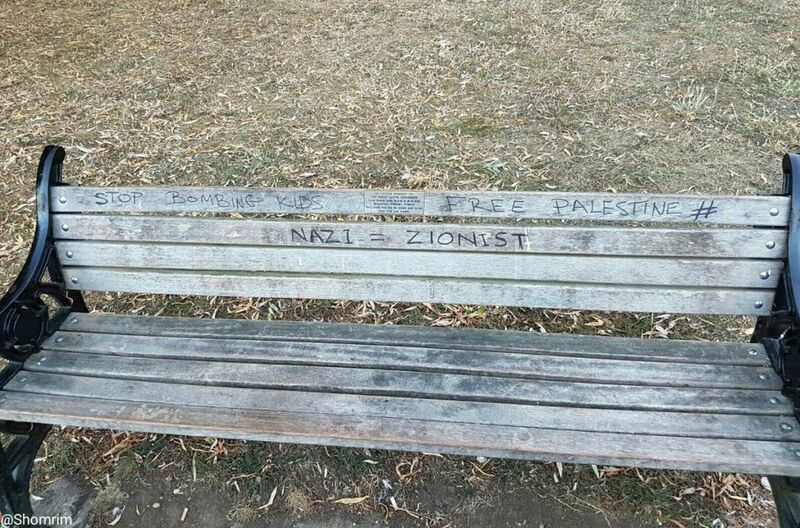 Police have looked into anti-Semitic messages scrawled on benches in North London this week. 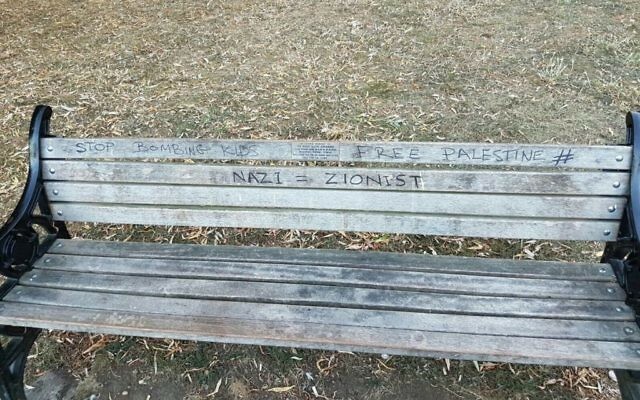 A bench on Clapton Common near a synagogue was daubed with graffiti. The graffiti in the area, which has a significant strictly Orthodox Jewish community said ‘stop bombing kids’, ‘free palestine’ and ‘Nazi = Zionist’. Posted on social media by neighbourhood watch group Shomrim, the incident was reported to the police after it was spotted on Tuesday.